Now that the spring and summer temperatures are heating up, it is time for senior caregivers to be aware of some of the issues typically associated with heat stroke. If you are not familiar with heat stroke, then it is time to get a better understanding of this condition and just how serious it is. Hot weather is dangerous as is, and seniors are even more prone to the dangers that these temperatures can bring. Heat stroke and related side effects are some of the most common reasons seniors end up in the hospital during the summer. This is why caregivers need to be aware of heat stroke and heat exhaustion and know how to help their loved ones avoid these issues all together. Here are some of the best ways. Many times, heat stroke happens in seniors because of dehydration. Most seniors are already at risk for issues with dehydration due to their current medications, and hot weather only makes it worst. In fact, most issues related to heat stroke have to do with dehydration. Make sure that seniors are drinking plenty of water every day, and monitor their liquid intake. It is also important to limit alcohol and caffeine. Remember, the hotter it gets, the more likely seniors will suffer from dehydration. When seniors leave the home during hot weather, they need to have the right type of clothing on. This means comfortable, loose fitting clothing that is lightweight and in light colors. 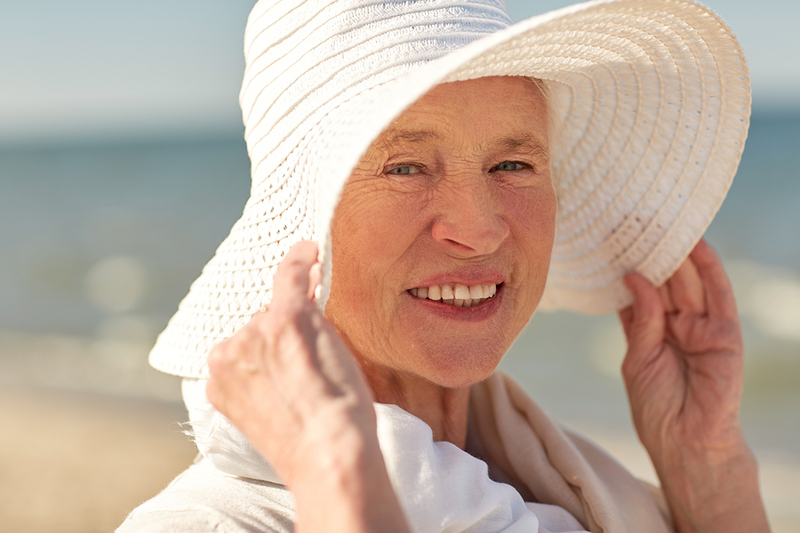 You would be surprised by home much of a difference an outfit can make when it comes to seniors and heat stroke. Most seniors can’t just stay inside all day when it is hot out, so if your loved one wants to leave the home and get outdoors, make sure that you plan accordingly. It is the hottest during the mid-day, so if your loved one wants to sit outside or run errands plan their outings for early in the morning or later in the evening. Remember, when your loved one is inside, it is best to stay in the air conditioning. When your loved one is getting ready to head out for the day, chances are they are going to check the temperatures on the weather. However, in addition to the actual temperature, make sure that you watch the heat index. When it is humid, it is more difficult for the body to cool itself, so you need to be even more careful. If your loved one suffers from heat stroke, heat-related exhaustion or another type of heat illness, the faster you are able to act, the better. Know the warning signs so you can get your loved one help right away. This includes nausea, dizziness, rapid heartbeat, fainting, chest pain and trouble breathing. Keep these tips in mind this summer if you are looking after a senior loved one, they may just help save their life.